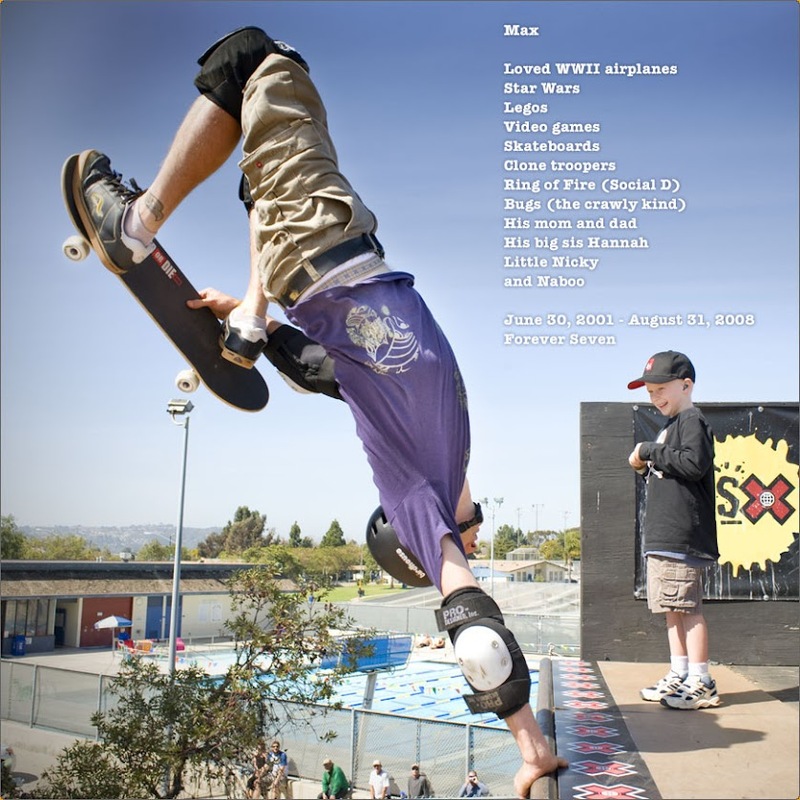 June 30 2012 would have been Max's eleventh birthday. Andy suggested throwing a party - a kids birthday party with Max's friends - and without hesitation I signed right up. Max's birthday has been a hard day for me to handle over the years, and the wonderful distraction of a celebration turned out to be perfect. Max's buddies dropping off fifty party favor bags (that they assembled) to the oncology unit. Food was never a great surprise for Max, but who can say no to In N Out? Six amazing boys plus our Hannah & Nicky who remember Max and have dropped us notes over the years, raised money for MROF, and are genuinely great kids. We released 11 balloons this day in Max's honor. I'm not sure where I am in my heart and in my mind four years after Max has gone to heaven. The hole in my heart will always be there, but the edges are slowly getting less jagged... more bearable. It's taken this long for me to come to terms with being broken and whole at the same time. I wonder where Hannah and Nicky are in their hearts and minds? We all have our own places and our own ways of processing grief. And don't kid yourself; the grieving for a child never ends, the journey goes on, it's a part of your life, and there's no "getting over it." I lost my dad, age 85, and my brother, age 60 over the past eight months. The grief experienced through these losses is so different than that of Max. His life was so short and incomplete. I try not to wonder what he'd look like now (his friends are so big!). I try not to wonder what his voice would sound like. I try not to wonder how different the relationships in our home would be if the bridge had not left us. I try not to think about these things, because there is nothing that can be done. Max was a gift to us - a blessing of immeasurable value. His coming and going changed us forever for the bad and the good. And there is good. Lots of good. Happy Birthday, my darling boy. Wow. Time marches on, doesn't it? I can see that by how much Hannah and Nicky have grown. I've been truly blessed beyond words to know Max's story, your family's journey. As you've said and shown through the years, LIVE LIFE TO THE MAX! Beautiful post. Your family honor's Max well. So happy I got to know him "virtually", I'm better for it. Thinking of your Max and reading through old blog posts. My son is 18 mos old and has a head full of Max curls. I am so sorry life worked out this way. It is cruel and unfair. He's a sweet sweet sweet boy. Magical, for sure.